Form and function come together in this kitchen, where clean, inset beveled Trail handles bring a quietly articulated design to the doors. 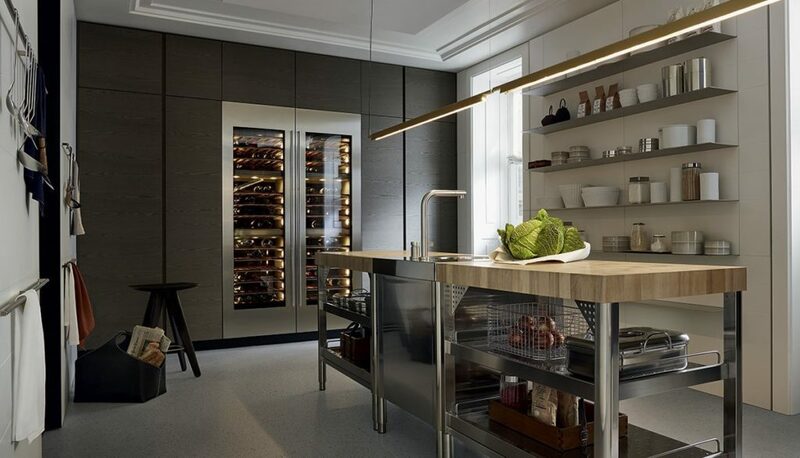 Glass cabinets with corresponding frame in anodized dark metal and vertical interior lighting, as well as beveled countertops, complete the theme of this nuanced kitchen line. Quality is a blend of superior design and uncompromising functionality. 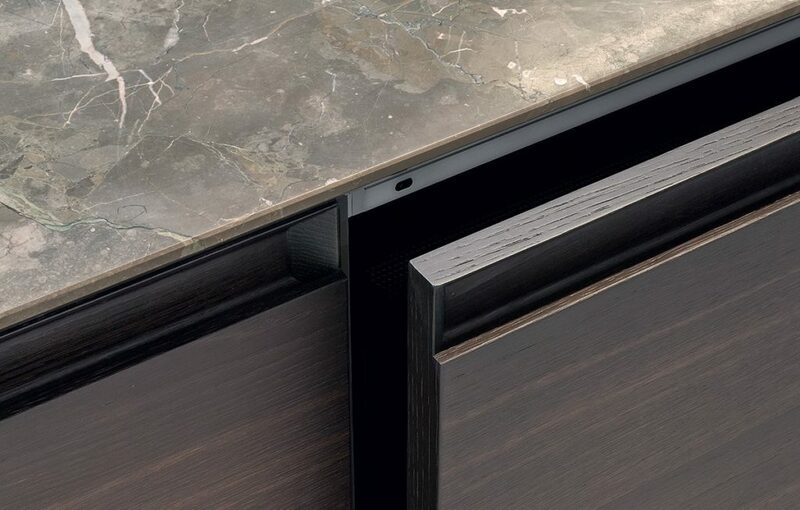 The Poliform|Varenna collection offers personalized solutions to suit contemporary tastes and styles. Elegant in form and highly flexible in design and detail, these high quality systems can be customized to complement your unique personality. 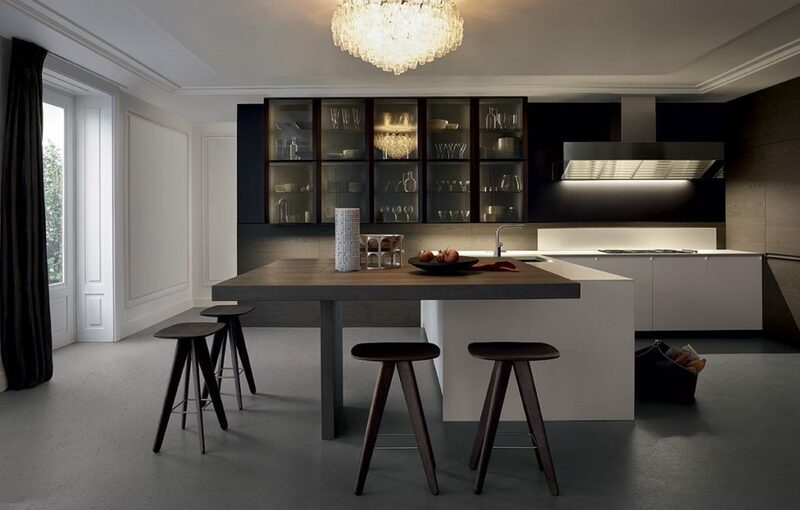 Emphasis on function is made without sacrificing the familiarity that creates a kitchen's warmth and liveliness. 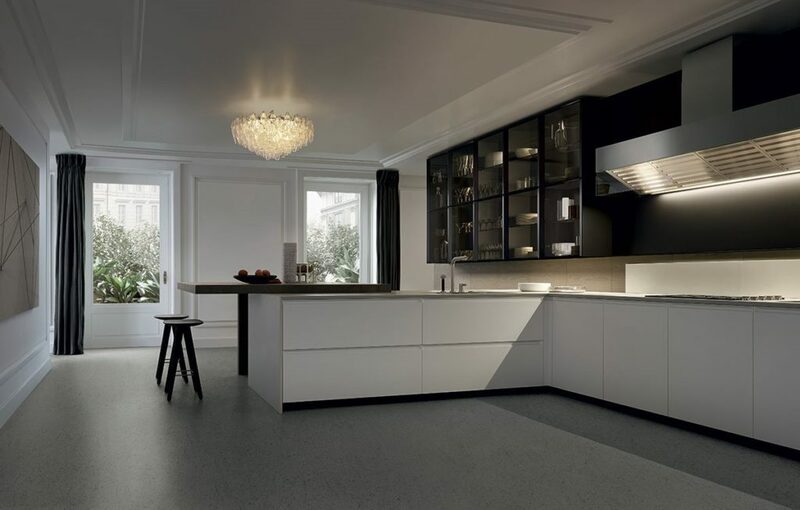 Build a kitchen you can live with... and in. 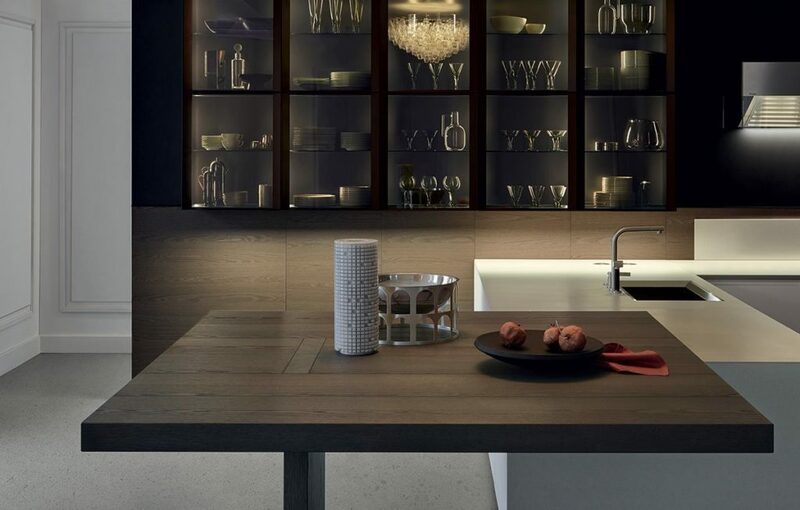 Varenna delivers quality you can bring into your home.